Quick, easy, healthy, and tasty meal. Eat is as an entrée or on a salad as we did here. Pearl and Serene, the authors of Trim Healthy Mama, recommend eating fish, especially for stubborn losers. 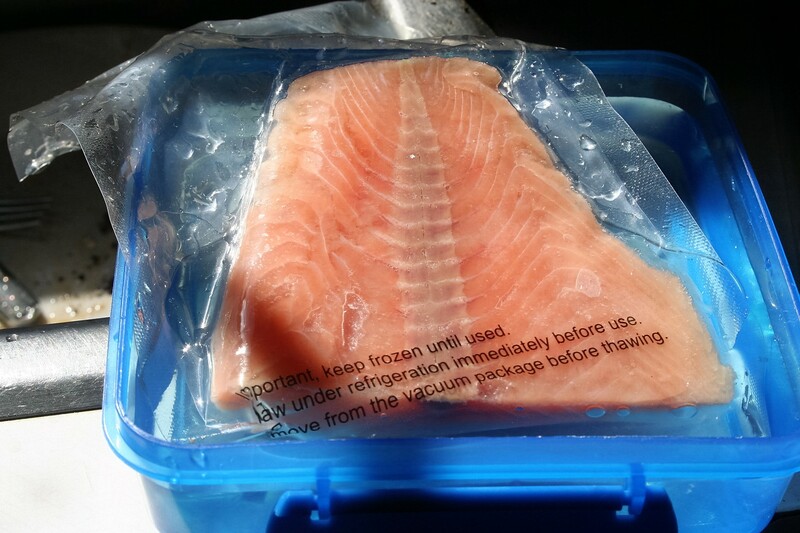 So since Tiffany loves salmon, I decided we’d have some for lunch. 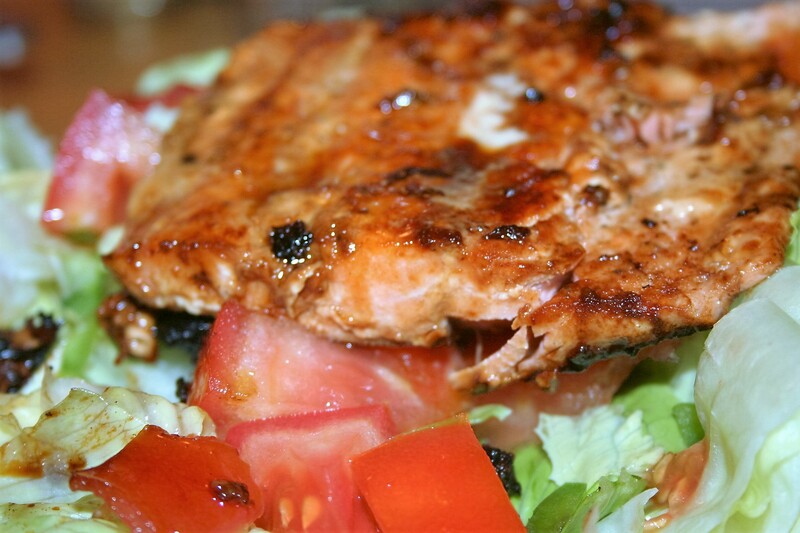 Salmon causes Michael’s heart to race, so I need to fix him another kind of fish when we have it for dinner. 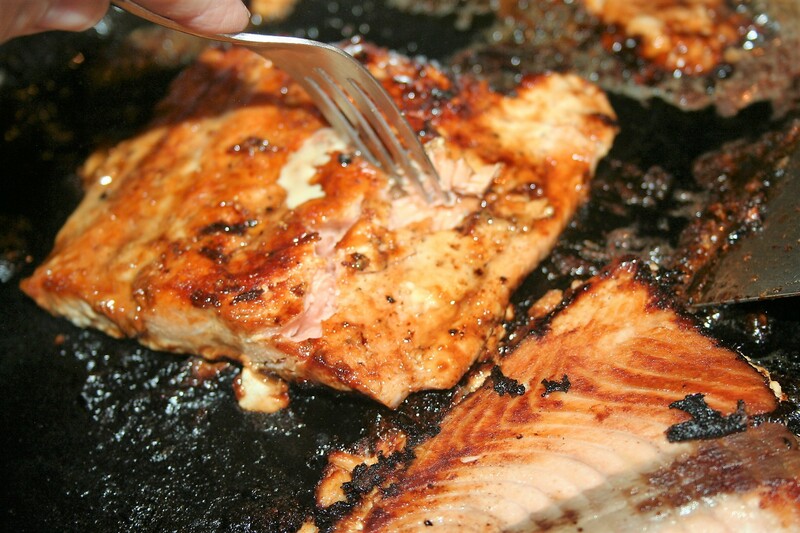 So here is my quick way to make a tasty salmon. 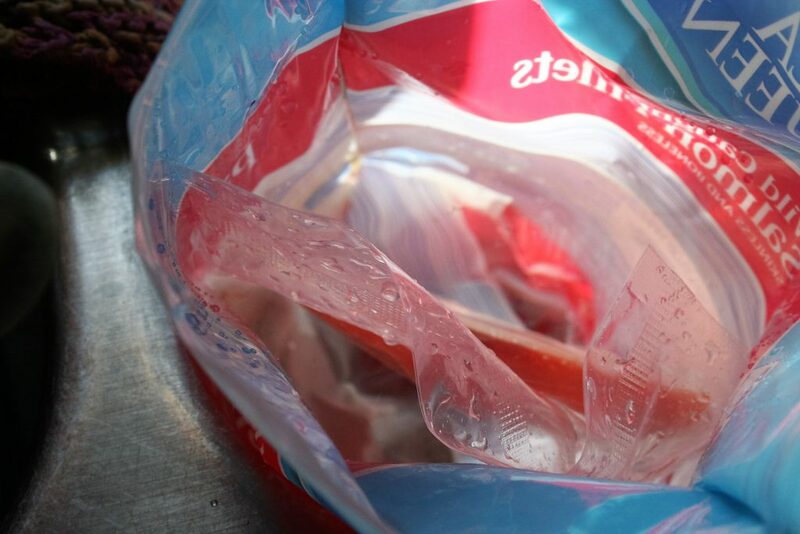 First, thaw the meat. If it isn’t quite thawed when you are about ready to eat, you can put it in some water to help it thaw quicker. 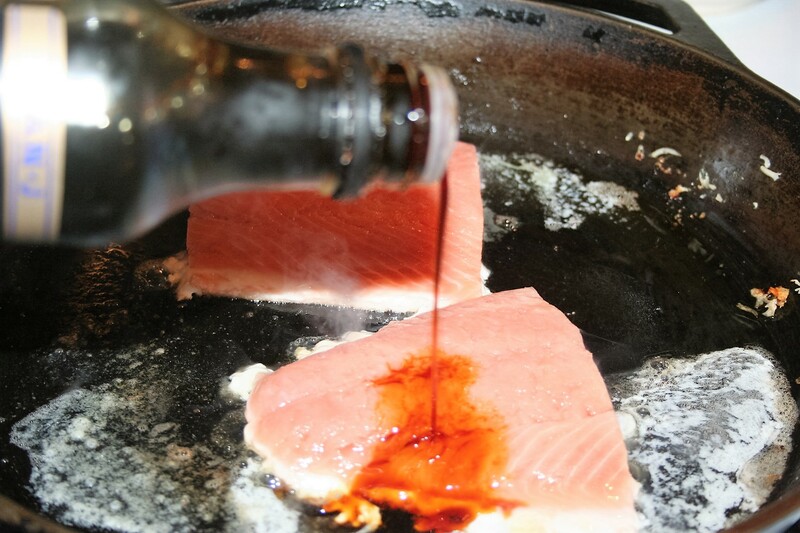 Add salmon. Mine wasn’t completely thawed but no worries, it thawed in the pan. 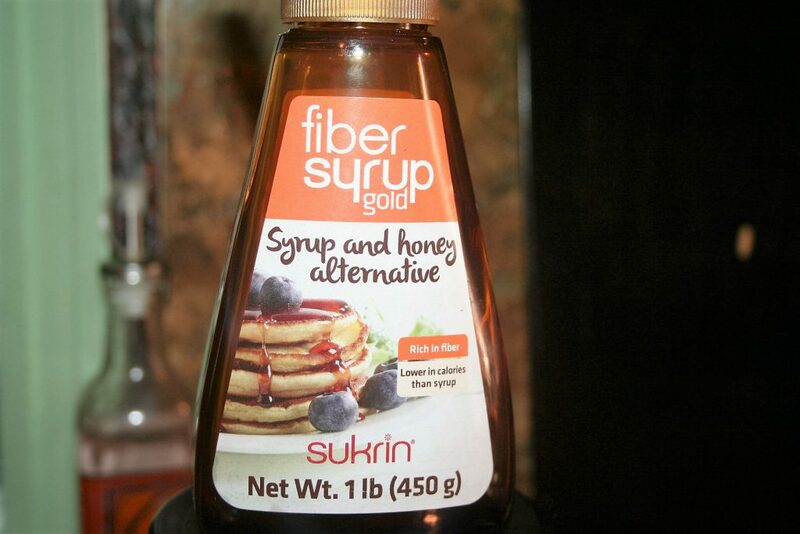 Add fiber syrup gold or nature’s hollow honey with maple flavoring. Basically you are looking for a sweet syrup. Come to think of it, it doesn’t really have a maple flavor, just sweet, so use sweetener of choice. 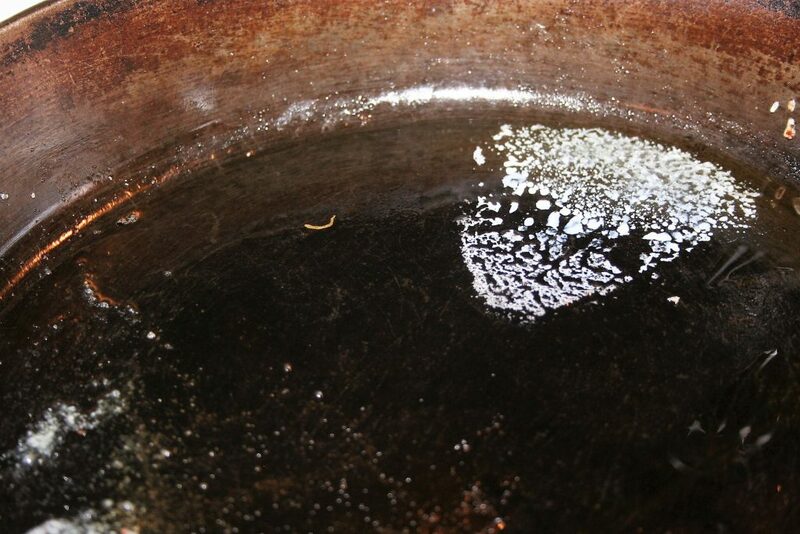 Cook until you see it start to turn opaque on the edges and then flip it over and finish cooking. I cooked it on too high of a heat and was distracted by cutting the lettuce for the salad, so ours was a bit blackened but still yummy. This only takes about 10 minutes or so. 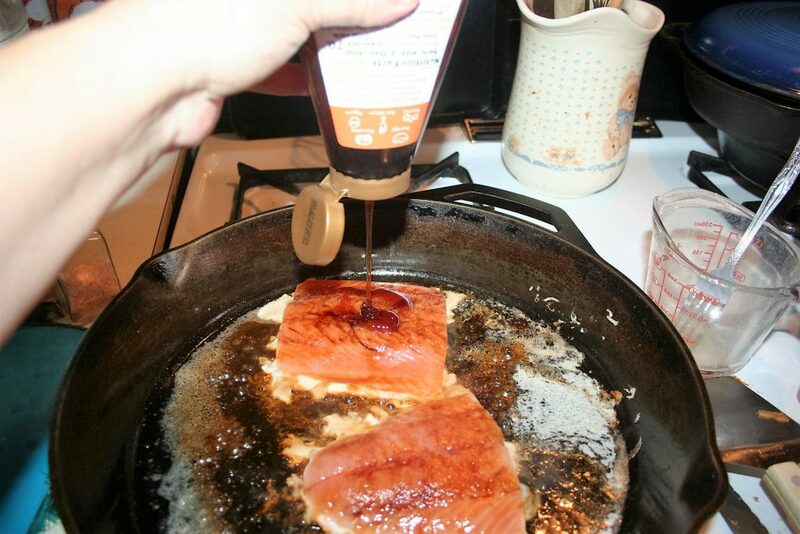 Heat butter in skillet and add salmon. Add tamari or soy sauce and sweetener. 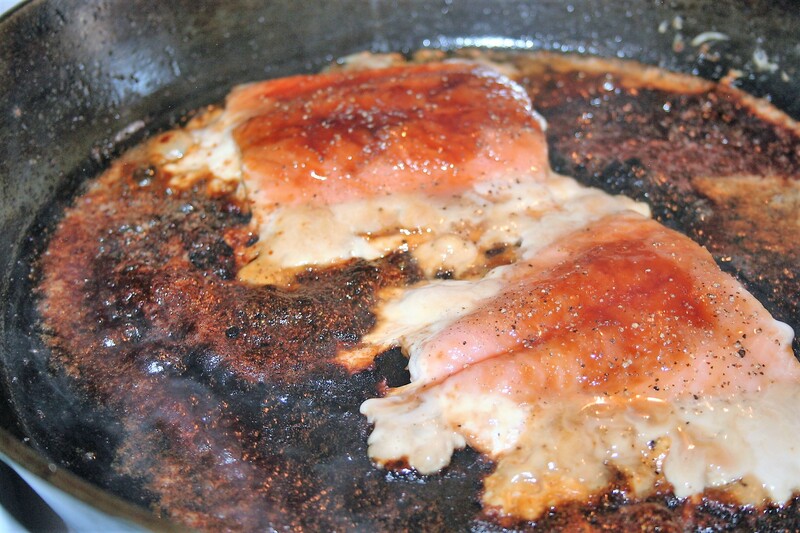 Cook until edges are opaque and then flip and cook until done. If you try this one, I hope you enjoy it too.